Oh, Michigan. Sometime in the past decade, the “Mitten State” emerged as a serious player on the national craft beer scene—thanks to an increase in malting companies and local hop and barley farms, a dedicated Brewers Guild, and a handful of visionaries whose unique approaches to craft beer years ago is paying off today. As of 2015, Michigan ranked sixth in the country in number of craft breweries per state, earning the high ranking with an arsenal of seriously sudsy cities—like the city of Ann Arbor. 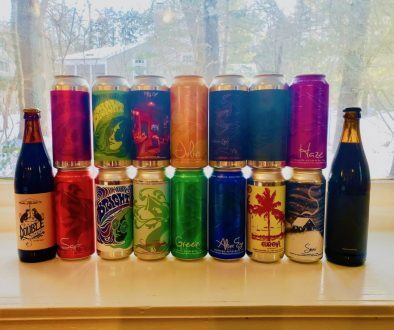 Known nationwide for a diverse and delicious dining scene, Ann Arbor is also home to a diverse, delicious and well-established craft beer scene. It’s the perfect place for a full-blown beercation. Not only is the city’s downtown hub ridiculously adorable, but it’s fairly small—which means the majority of your beer explorations can, and should, be done by foot. From cult-like status breweries like Jolly Pumpkin Artisan Ales, to craft beer bars that are serving up some of the best beer in the country—we have the ultimate guide to Ann Arbor’s craft beer scene. Ann Arbor’s downtown is about as charming as it gets. But perhaps the best thing about this little craft beer hub, is that just about everything is within walking distance. Stumble out of one brewery, and you’ll pretty much land at the doorstep of the next. Here’s a look at the must-visit breweries in Ann Arbor’s downtown. Affectionately known as “ABC”, Arbor Brewing Company is the culmination of hard work and a serious passion for beer by owners Matt and Rene Greff, who originally opened the pub and eatery in 1995. Today, this downtown gem is a go-to hangout spot for locals and tourists alike to cozy up in the inviting brewpub for a clean, crisp, and flavorful brew, and some not-so-traditional pub food. On the menu at this eatery, you’ll find pierogis, three different types of poutine, pickled beets, and more. Arbor Brewing Company also has a killer cellar and a successful sour program—which is located in the basement of the brewery’s historic building. If there’s a sour on the menu, don’t pass up a taster. Located in the heart of downtown Ann Arbor, Grizzly Peak’s story also dates back to 1995, when the popular local brewery opened their doors in a century-old building in the city. Today—Grizzly Peak has amassed several store fronts on their original block—creating one big maze of places to drink beer. There’s a little nook for everyone. Whether you want to watch the big game, are rolling with the entire family, or are into that cool speakeasy vibe—Grizzly Peak’s set-up has the space and a place that will fit your needs. When you embark on your tasting journey at this brewpub, be sure to check out the Victor’s Gold Kolsch-style beer—which features Saaz hops and a subtle fruity finish. The brewery’s best-seller, the malty and caramel-forward Steelhead Red, is also a must-try. If sour beers are your jam, then you’ve probably heard of a little place called Jolly Pumpkin. While the main brewing operations for Jolly Pumpkin are located just about twenty minutes outside of Ann Arbor, there’s a delightfully dangerous Jolly Pumpkin Cafe & Brewery location in the city’s downtown area. It’s a two-story slice of heaven for fans of wild ales. The Maracaibo Especial Sour Brown Ale is spiced with cinnamon and sweet orange peel and is not to be missed when visiting this iconic beer destination. Barbeque and beer go hand-in-hand, and Blue Tractor is making some of the best versions of both. Also centrally located in downtown Ann Arbor, Blue Tractor is a relatively new to the city’s craft beer scene, but they’re keeping their barstools full with award-winning beer and great barbeque. While the brewery is only pouring from six taps in their taproom, they’re making the most of what they have. The brewery’s draft handles rotate often but always include a variety of beers from the light-bodied American Cream Ale, to the hopped-up Bumper Crop American IPA, to the Pitmaster Porter, which pairs nicely with smoky flavors coming out of the kitchen. While these breweries don’t boast the convenience factor that the downtown Ann Arbor breweries have, they’re definitely worth a visit. Snag a Lyft, take a mini-road trip, hitchhike—I don’t care how you get there—just get there. This is it. The place where Jolly Pumpkin’s beer slumbers away in wine barrels. But you won’t just find Jolly Pumpkin brews at this unique taproom. “Null” stands for “Northern United Liquid Libations” which is an umbrella that local breweries like Jolly Pumpkin, Grizzly Peak, the North Peak Brewing Company, Nomad Beer and a winery and distillery are all connected by. 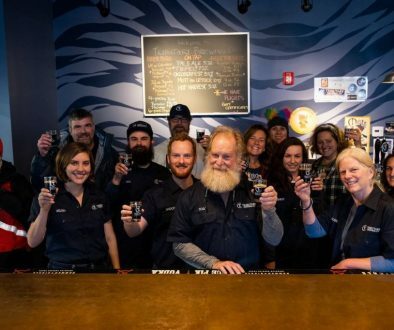 It’s an interesting situation of like-minded business owners teaming up in order to grow—but the best part of the entire situation is that you’ll find libations from every single one of the Null partners in this funky taproom in Dexter, MI—which only about a 20-minute drive from Ann Arbor. This is also the place to stock up on all of the Jolly Pumpkin bottles that you can to ship back for beer cellar back home. If you’re a hater of Michigan University football—this brewery might not be for you. But if you can look past the Wolverines crushing your team this year, then Wolverine State Brewing Company is worth a visit. Located in Ann Arbor, but just outside of the downtown area, Wolverine State is only brewing up lagers—some damn tasty lagers. Go for the popular Gulo Gulo India Pale Lager (and the 2019 Nachos loaded with smoked pulled pork!) but don’t leave without a taste of the Massacre: a Bourbon Barrel Aged Imperial Dark Lager—which at 13 percent ABV, is true to its name. Wolverine State also offers beer specials every day of the week and brewery tours upon request. A craft brewery inside of a church? Now that’s something to give thanks for. A short drive from Ann Arbor in the small town of Saline is Salt Springs Brewery—an excellent craft brewery and restaurant housed in a beautifully historic Methodist church. The building still retains the stunning stained-glass windows, and the ethereal feeling of guilt. But these days, the gorgeous open interior of the church is as inviting as it gets, and with the amazing brunch menu this place is pumping out on the weekends, it’ll make you change your mind about going to church on Sundays. The Big Brown Bunny Porter is a 6.9 percent ABV glass of creamy, rich, and slightly sweet perfection, and pairs nicely with the fresh and local ingredients threaded throughout the kitchen’s delicious menu offerings. With such a vibrant brewing scene, it’s no surprise that Ann Arbor is also home to a handful of excellent craft beer bars. Here are a few of our favorite craft-centric joints to hit when in the area. The Beer Grotto is one of those awesome local spots with an inviting neighborhood vibe that draws you back time and time again. With 35+ taps that are rotating with an exceptional mix of limited beers, special releases, and flagship favorites from craft breweries all of the country, this small, but oh-so-worthy craft beer bar packs a mighty punch. This Beer Grotto is also a craft beer shop, which means you can fill up a growler or Crowler® of your favorite beers on tap and take them with you. Since 1983, Ashley’s has been a popular watering hole in the area, and today, the Cheers-meets-local-dive-bar is a serious craft beer bar that’s serving up beer from 100+ taps. It isnt’ pretentious. 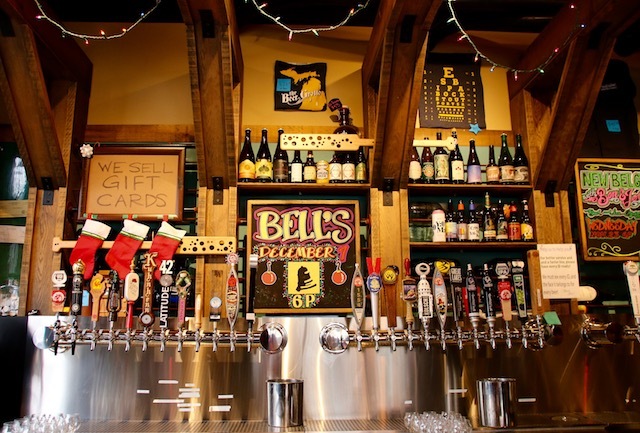 It’s located right in downtown Ann Arbor, and it’s the place to kick back, enjoy some delicious beers, and get some excellent pub food in your stomach before heading back out into the city on your craft beer adventures. While this sprawling craft beer bar is technically a chain with locations all over the midwest, HopCat is still definitely worth a visit when discovering Ann Arbor beer. Like Ashley’s, HopCat is also located in downtown Ann Arbor, and also boasts 100+ taps, but you’’re always guaranteed to find at least 40 taps dedicated to local breweries at this place. HopCat gets crazy busy on most nights, so get there early, be prepared for a little wait—or—head here for a little craft beer night cap. Pretty amazing. 120+ taps, crowlers, custom firkins, and a HUGE selection of bourbons and other whiskeys. Great food and service too. They have a cigar license too which is trippy. The place amazingly doesn’t smell like an ashtray — you only pick up wafts of the sweet part of the tobacco smell occasionally. Kind of a new fave spot in A2 for us.